A former warehouse complex in one of the smallest countries in the EU is now moving towards becoming the first lifestyle center in Europe to totally embrace blockchain and cryptocurrency technologies. 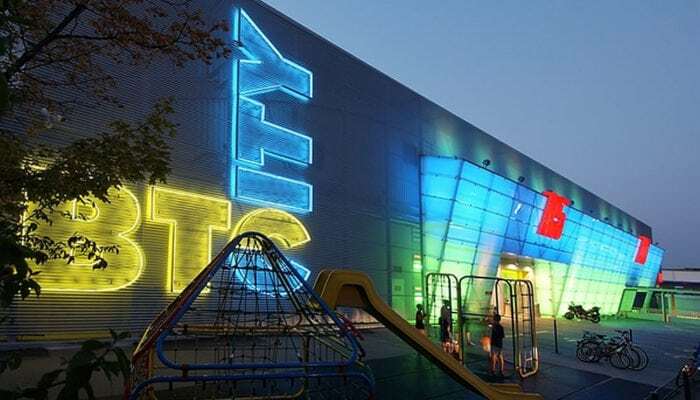 Set in the center of the country’s capital city, Ljubljana, the eponymously named BTC City shopping mall will be transformed into a completely Bitcoin-friendly environment where every shop and venture will accept the cryptocurrency and operate via blockchain technology. The 1,558,398 square foot complex which was built in 1954 as a storage and logistics center had become a commercial shopping district by the mid-1990s. Today it is completely transformed as the largest shopping center in the country boasting over 500 stores as well several travel and tourism ventures including a luxury hotel and casino, a multiplex cinema, a water park and the Crystal Palace office park — home to Slovenia’s tallest building. BTC Company which owns and manages BTC City wants to see the center become the first of its kind in the world where business partners visitors and consumers interact in a cryptocurrency supportive ecosystem. The company seeks to integrate all state of the art technology into the space using Cryptocurrency and blockchain as well as bringing in artificial intelligence, virtual reality, augmented reality and machine learning. Fintech startup Eligma has created a unique cryptocurrency transaction system for BTC City called Elipay. The system is scheduled to be tested by mid-June but most retailers are already using cryptocurrency point of sale systems. In addition to stores and restaurants accepting cryptocurrency, there will be one-way crypto ATM’s throughout the complex, as well as a blockchain think tank and what executives of the complex call the largest crypto mining rig in Slovenia.